Richard Horowitz - Eros in Arabia. Vinyl LP. Bleep. 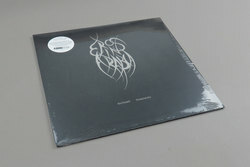 Top of the wantlist early 80s avant-electronics get a new vinyl issue from the guys at Freedom To Spend. Horowitz, who later made the amazing ‘Desert Equations’, was crafting Hassell-esque fourth worldisms with the Prophet 5 synthesiser, ney cane flute and Susan Deyhim’s powerful vocals. Gripping percussion work also permeates the album, balancing out the electronically treated ambience with subtle propulsion. Did we mention the 21 minute epic ‘Elephant’s Dance’ also works as an amazing cosmic DJ wrong-speeder? Super happy to stock a reissue of this one, but we’re not sure how long they’ll hang about!